With Azria & Bruffett, you gain access to over 40 years of combined experience with all aspects of the court system. This extensive experience, coupled with cooperation among our lawyers, helps us deliver you effective and creative DWI defense strategies. 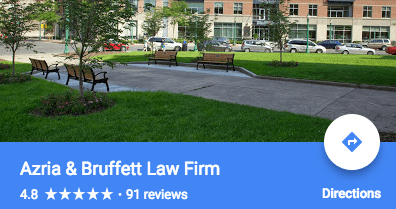 Partner David C. Bruffett, Jr., Esq., has published on DWI defense strategies and our firm is ready to use those insights and our collective experience for your benefit. 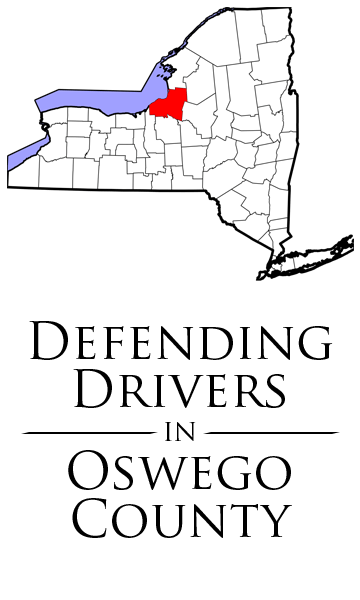 Our lawyers are available to represent you in any of the Oswego county court, including the city, town, and villages courts located in Albion, Amboy, Boylston, Central Square, Constantia, Fulton, Granby, Hannibal, Hastings, Mexico, Minetto, New Haven, Orwell, Oswego, Palermo, Parish, Pulaski, Redfield, Richland, Sandy Creek, Schroeppel, Scriba, Volney, West Monroe, and Williamstown, New York. To provide you with the best defense possible, we seek to understand your case and your life. Each case is different and each client is an individual, and we always act accordingly. Be available to answer any questions or concerns you may have. Your attorney will work relentlessly to achieve the most favorable outcome for your case. Most DWI cases are settled after negotiation, and our attorneys have successfully negotiated countless cases in numerous courts all over New York State. This experience ensures that an intelligent and productive approach will be employed to defend you. While our attorneys are skilled negotiators, if negotiations fail, you can rest easy knowing that you have a trial-seasoned DWI defense team ready to give you your day in court. Whether in negotiations or in trial, we will always aggressively represent your interests. Ralph made this very stressful situation so much easier on me, he explained everything clearly and got me through each step from start to finish. I had a very favorable outcome to my case. If your in need of a great DWI defense, this is the lawyer you want representing you! DWI Defense Strategies by David C. Bruffett, Jr. 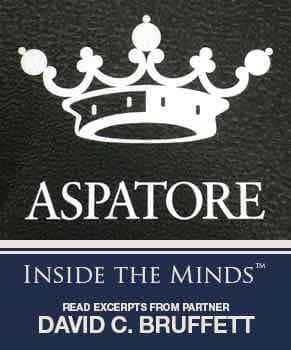 Partner, David C. Bruffett's, chapter published in: "Inside the Minds: Strategies for Defending DWI Cases in New York" published by Aspatore Books. The Azria & Bruffett Law Firm defends drivers charged with DWI, Aggravated Unlicensed Operation, cell phone use, texting while driving, and all other traffic violations in Erie County NY including the following Courts: Albion Town Court, Amboy Town Court, Boylston Town Court, Central Square Village Court, Constantia Town Court, Granby Town Court, Hannibal Town Court, Hastings Town Court, Mexico Town Court, Minetto Town Court, New Haven Town Court, Orwell Town Court, Oswego Town Court, Oswego City Court, Oswego County Court, Palermo Town Court, Parish Town Court, Pulaski Village Court, Redfield Town Court, Richland Town Court, Sandy Creek Town Court, Schroeppel Town Court, Scriba Town Court, Volney Town Court, West Monroe Town Court, and Williamstown Town Court.